Craig Hoffman is the head rowing coach at Malvern Preparatory School on Philadelphia’s Main Line. One of the most respected technical coaches in the country, Hoffman’s crews have competed internationally in the Henley Royal Regatta in England; and Malvern athletes have participated in races in Spain, The Netherlands, Czech Republic, Mexico, Canada, Italy and Egypt. His rowing career began at The Haverford School where he was a coxswain; from there he attended Syracuse University where he continued as cox on the Orangemen’s rowing team. Upon graduation from college, Hoffman became Assistant Rowing Coach at his high school alma mater and continued to compete in the sport as a member of the Undine Barge Club, where he won three US Rowing Club National Championships. In 1997, Hoffman was named head rowing coach at Malvern Prep where his teams were victorious in 26 Scholastic and US Rowing National Championships, 32 Philadelphia City Rowing Championships and 11 Stotesbury Championships. In 2009, the Friars achieved the distinction of winning Gold in the Varsity Quad, JV Quad and Freshman Quad at the famed Stotesbury Regatta. A testament to Hoffman’s tutelage is the fact that over 60 Malvern rowers have gone on to row in Division 1 programs at a variety of prestigious universities. According to a recent graduate who now rows for Princeton, “My success in college is a direct result of the qualities and values that were instilled in me by Coach Hoffman at Malvern”. In 2004, Hoffman was named the United States Olympic Committee Rowing Development Coach of the Year. As USA Head Rowing Coach for the 1997 and 2009 Maccabiah Games in Israel, his squad won 15 Gold medals and a Bronze in 16 events. 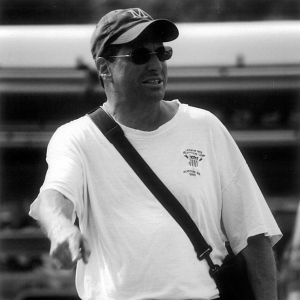 Coach Hoffman has served as the Chairman of the US Junior National Men’s Rowing Committee from 1999-2009 and currently is the Co-Chairman of the US Rowing Junior High Performance Committee and a member of the Board of Directors of the Scholastic Rowing Association of America. He and his wife of 29 years, Stephanie, live in Berwyn and are the proud parents of Andrew, Matthew, Sarah, and Nafis.